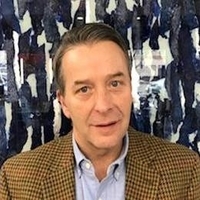 Vin Battista, Senior Sales Associate, is one of three founders of Monique’s and in fact the company is named after his daughter Monica. Vin has been with Monique’s since its’ inception in 1981, though he did move to Florida for a period. When he returned from Florida he worked at Splash and at Home Expo gaining a different perspective of the showroom business and ultimately returned to Monique’s. Vin’s reputation in the industry is unparalleled He is known and appreciated by his close following of repeat clients as well as manufacturers and their representatives. Vin still holds his Master Plumber’s license and has a vast knowledge of plumbing products and just as important the actual piping schemes that allows everything to work properly behind the walls. Vin goes the extra mile for all of his customers. Chris R. as he is known in the showroom (there is also a Chris S.) came to Monique’s in the year 2000. 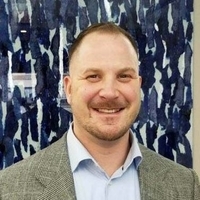 His background is very different from the rest of the team’s as Chris came from the financial world, having received an undergraduate degree from Providence College. Chris’s quick grasp of the showroom business and his creative flair for style and design has allowed him to grow his client base of Interior Designers, Architects, High End Builders and Contractors. Chris has developed many close relationships and friendships with his repeat clients and as such they trust his guidance and knowledge base. 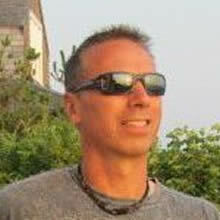 Chris guides his clients through the process minimizing the stress inherent in the business while having fun doing it. Pat is Monique’s Sales Manager and has been with the firm since 1996. For the past 18 years Pat has worked with and earned the respect of many of the industry’s top Architects, Designers and Contractors. His easy going demeanor, product knowledge, sphere of influence and ability to manage multiple projects simultaneously and delivering on his commitments sets him apart in the industry. Chris S. as he is known in the showroom (there is also a Chris R.) is our newest Sales Associate, having earned this promotion to Sales in 2013. Chris began his career at Monique’s in the year 2000. As a young man Chris worked in the warehouse, shipping & receiving as well as delivering product. This experience built Chris’s strong foundation of product knowledge as he dealt with the product and clients in this capacity for 13 years. Chris also has a strong fashion sense and lends his style to clients that are not really sure in which direction they may want to take their project. He is quickly gaining the confidence of our clientele and earning their business. Tom Parker is fairly new to the showroom sales side of the construction business but by no means is he a novice. Tom joined Monique’s in the summer of 2012. He has rapidly learned the product, the manufacturer’s representatives and the clients. Tom has a wonderful personality, understands customer service and customer satisfaction. Tom’s background is in construction. 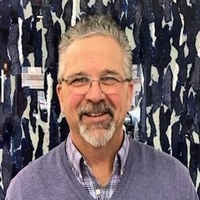 He holds a construction superintendent’s license and managed the remodeling division of a construction company for 15 years, specializing in kitchen and bath remodeling. Prior to that Tom was a craftsman, specializing in carpentry. During that time Tom worked closely with homeowners, architects, designers, contractors and inspectors. 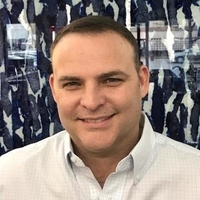 He knows the business inside and out and has been a huge help for clients that come into the showroom with little or no plans of what they want their kitchen or bath to look like. Tom is able to take them through the process, help with some layout and design of their space and turn them on to the appropriate professionals as needed. Tom has been a wonderful addition to the team. 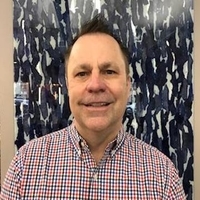 Kevin Heffernan joined Monique's Bath in late 2015, he comes to us with an extensive customer service, sales, design and general construction background. Having started and built a retail/corporate flower and plant business that was awarded multiple "Best of Boston" awards, to working in the hardware industry and having managed corporate facilities, overseeing the rehab. of both residential and corporate spaces, most recently working in both the Miami and Boston real estate markets. 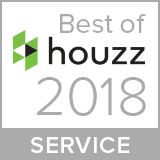 Kevin's overall knowledge of construction, layout, design, style sense and exceptional customer service lends itself nicely to the team at Monique's. He has already started a following and will undoubtedly continue to do so. We at Monique's are very excited to have Kevin as our newest Sales Associate. 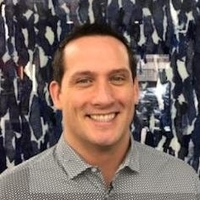 Peter Bacci is our newest Sales Associate who was born and raised in Cambridge. He went to Cambridge Rindge and Latin High School. He came from a culinary background mostly and worked as a cook in a Greek restaurant for 17 years from 1999 to 2016. To spend more time with his daughter, Peter left the restaurant business and started doing courier works. He is working with us now and we can say that he is a great guy. Peter has been through our training and is actively selling on the floor. Michele joined Monique's in April of 1995 in the role of bookkeeper and not only performs in this role today but also functions as the Office Manager. Michele's previous work in the construction industry, for over 18 years, brings accounting experience along with knowledge of all aspects of accounts receivable, accounts payable, payroll and reporting. Michele prepares all of the year end financials for the accountants as well as monthly reporting for management. Michele works closely with our clients and our vendors to assure accuracy of accounts and timeliness of both paying bills and receiving funds from clients. 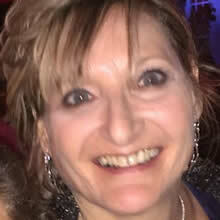 Michele is also an Owner of Monique's along with her 3 brothers; Michael, Robert & Richard. Anthony joined Monique's in March of 2000 as our Warehouse Manager, and has performed in this role ever since. 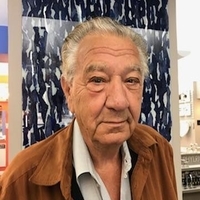 Having worked in retail for 25 years, Anthony has considerable experience in customer service in his duties, which include customer relations, product organization, and the coordination of drop offs and deliveries. This experience has given Anthony an extensive knowledge of our merchandise, as well as close working relations with our vendors. Anthony has proven to be an invaluable employee as he continues to serve as a face for the company.